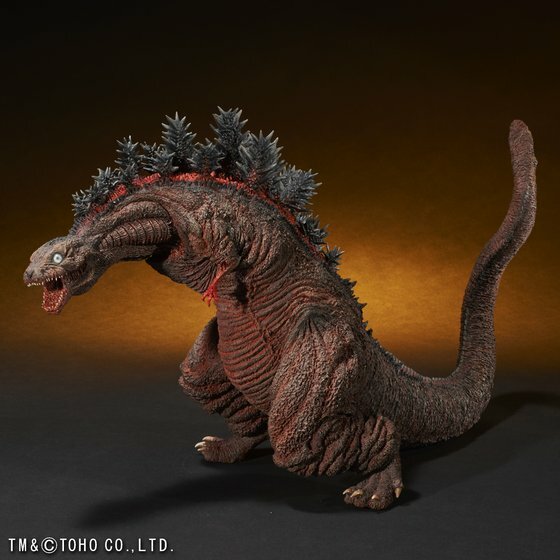 The high-end side of Bandai has announced two new figures featuring Godzilla’s third form, as seen in Shin Godzilla. 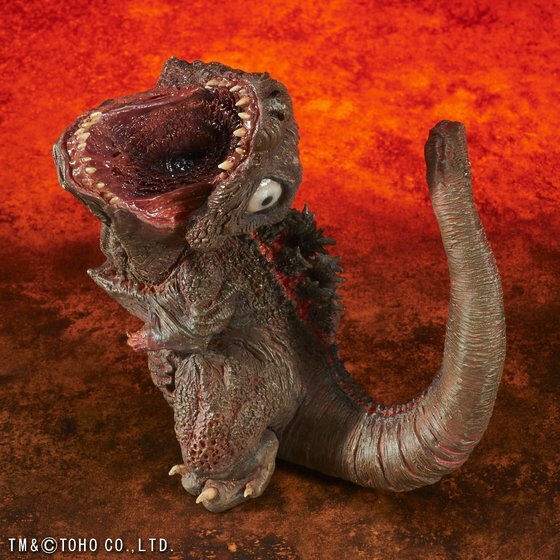 Bandai describes the SD figure as “balancing comical cuteness with coolness”, realistically displaying certain aspects of the form such as its tail, dorsal fin, and teeth. 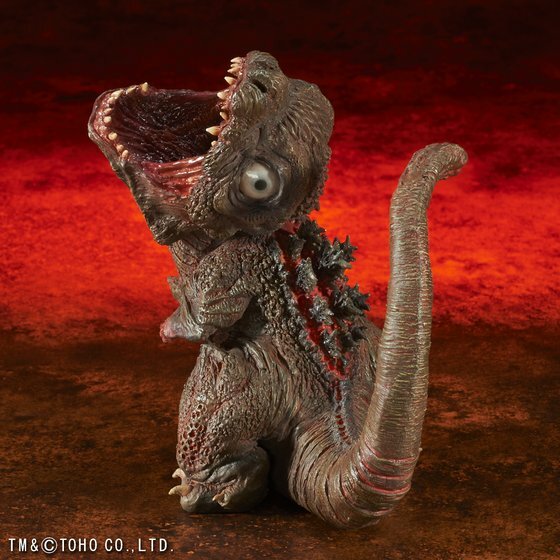 The figure is about 11cm in height and 10 cm long. 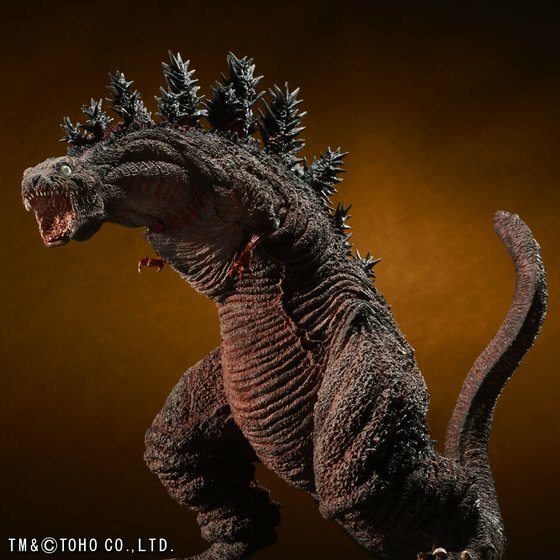 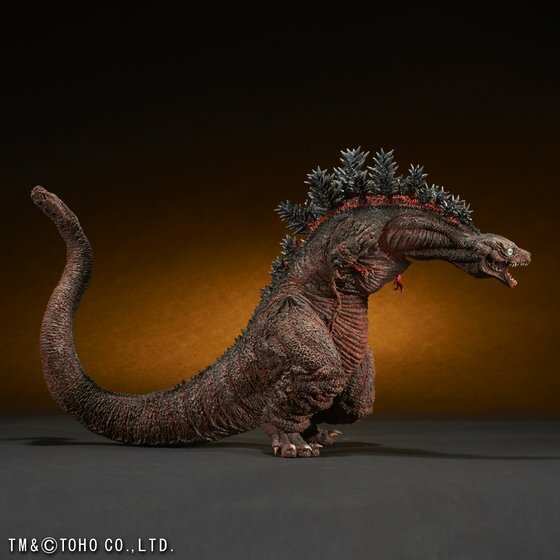 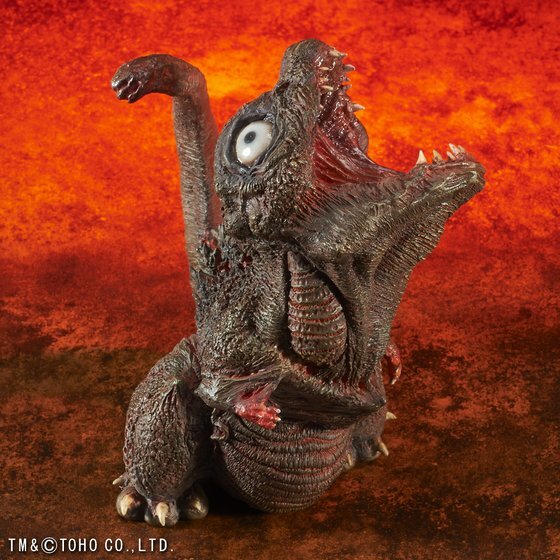 The realistic figure is about 29 cm in height and features accurate scale representation of Godzilla’s limbs and features as seen in this form during the movie. 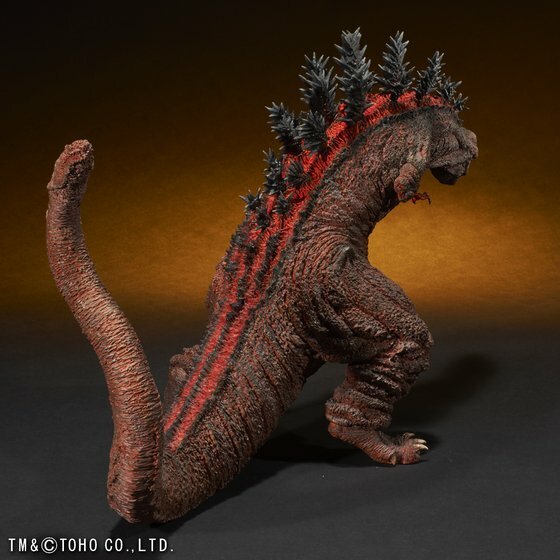 The realistic version will be available in November for 19,980 yen, while the SD version will be shipped in November with reservation orders now open. 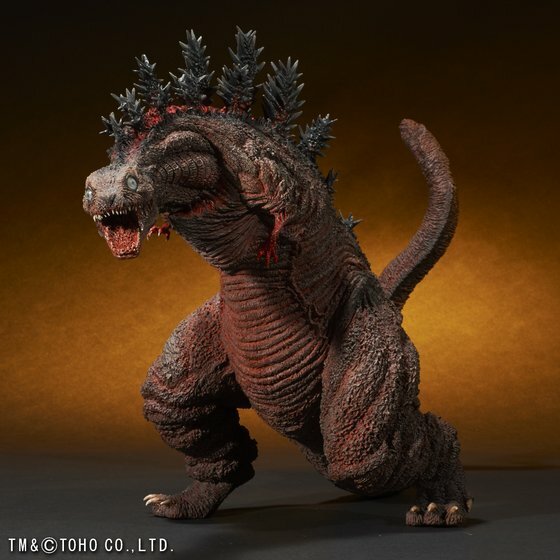 Ugh this Godzilla design is awful!